Provides cushioning during step by step impact. Supports the foot while in motion and at rest. Shearling is considered one of nature’s best insulators, it wicks moisture and permits air circulation, allowing your feet to breathe comfortably. Absorbs shock, especially in the heel. Sizing note: if you wear a half size in your shoes, please order down a size. Insoles can be trimmed to fit as well. Available in men's sizes 3 - 15+ and women's 5 - 13+. Apply heat at the bottom of the insole's arch. Only heat it up for about 30 second. Bend it the desired way and amount (depending on whether you want higher or lower arch support). Hold it in that position until it cools down. It should not be too hot to touch. After heating/bending, place under cold water for a quick cool down. This will also retain its position. Love them. I love these put them in my boots they are warm. The length was a little long but I was able to work them in without cutting. Love them! Fit great. Made my boots so comfy! Will buy them for all my boots! 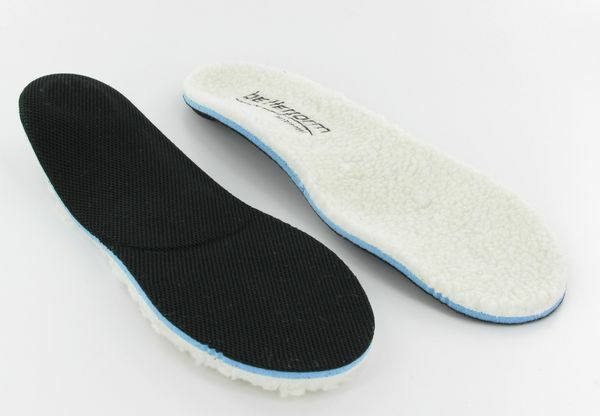 The Shearling Orthotic Insoles have great arch support and keep your feet warmer in the Winter because they are shearling.I have problems with my feet and after putting these in my slippers and boots, I have great arch support and my feet feel better and it takes pressure off my back. I love them and will buy a few more pairs to put in all my shoes. They are removable and can be changed to each pair, but it would be easier for me to just put them in each shoe. They are not cheap, but worth every penny. When my feet are happy, I am happy. Love these Thought after bilaterally breaking my ankle I would never were my UGGS again...purchased these...I am back in my UGGS! Thank you!